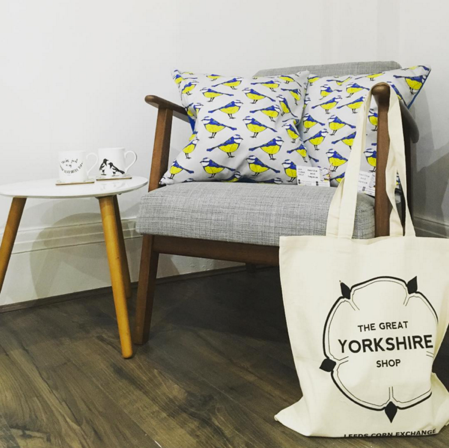 Home to a haven of Yorkshire’s finest brands, The Great Yorkshire Shop opened its doors last year (that’s 2015, we’re still getting used to it being January already, too). Their boutique displays works from the creative talents of God’s Own Country: a multitude of DIY craft, home furnishings, quirkily flavoured tea, and other locally-made goodies. 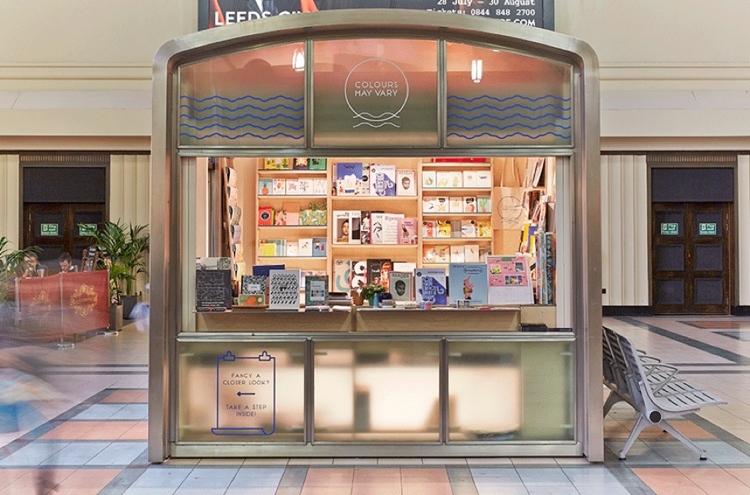 What’s more, it’s in the stunning setting of Leeds Corn Exchange, a hub of small independent stores. The people of Yorkshire are a proud bunch, whose heritage often shapes who they are. It’s great to see new local businesses cropping up, and even better when the products they sell are locally sourced, too. Fun fact: 63% of independent business’ profit goes back into the local economy (compared to 40% from High Street chain stores). Here we have another Corn Exchange beauty, this time for the beer lovers of the world. 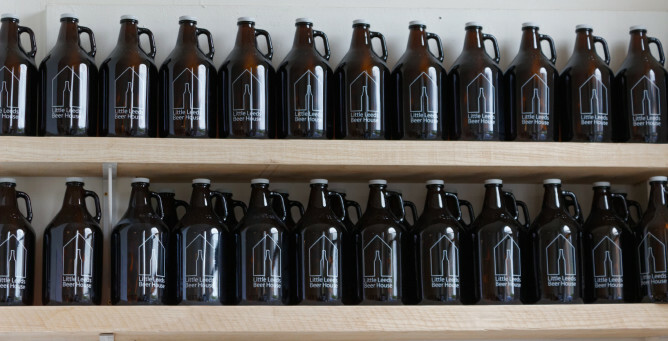 Craft Beer has poured into the world of local businesses in abundance. There’s so many new, independent micro breweries, micro pubs, and craft beer shops, that it can be a bit overwhelming for someone new to the scene, so The Little Leeds Beer House is a great first stop to make. Up the winding stairs to the top deck of the Corn Ex, you’ll stumble across a small room packed with many, many bottles. Bottles from here, bottles from there, bottles from everywhere. Seriously though, there are bottled beers from places you’ve never heard before. From 17.5% ales brewed with pizza in Norway (not kidding) to Leeds’ very own more sessionable Kirkstall’s and Ilkley’s, there’s a bottle for the beer beginner and for the most seasoned of sommeliers (how’s that for a job?). 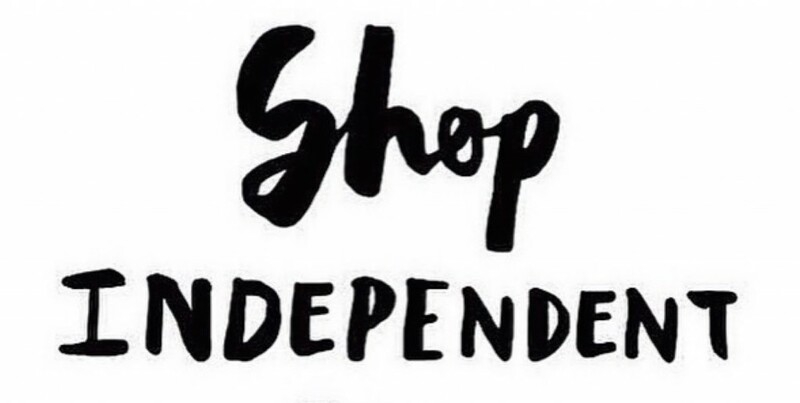 Not only do we love that little local businesses find their home in Leeds, but we love that independents support independents. Little Leeds Beer House not only sells other local breweries beer, but they hold events which bring the beer community together. Check their website for past and future events. Fun fact: There are apps which offer loyalty offers specifically for local businesses, such as LoyaltyZoo. Often these apps give discounts on a number of local independents near you, or sell gift cards which are valid in a multitude of nearby shops. So now you don’t have any “there’s no reward for loyalty” reason to stop you shopping local. If online shopping is your friend, gorge yourself over the ever popular Not on the High Street for great gifts for loved ones (and yourself, obviously). Etsy is another one that’ll help you spend your evenings dreaming. Leeds Brewery has been around for a while now, but they’ve boomed in the past few years, opening up sites in central Leeds and York. 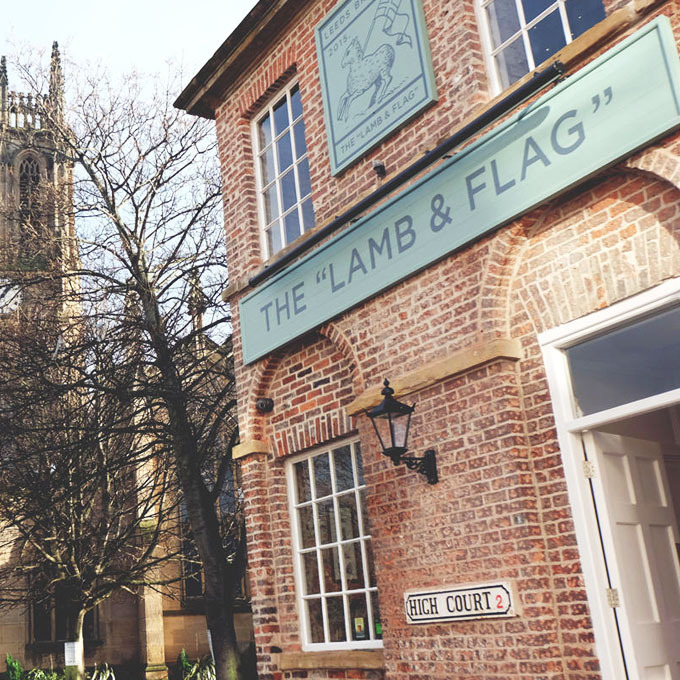 One of their newer ventures is the impressive Lamb and Flag, nestled in-between Leeds Minster and The Calls. The building itself was derelict a year ago, showing how much effort the brewery puts in to ensure they build their empire, whilst giving old, otherwise unused buildings a new lease of life. The building itself is now a mixture of spacious and authentic: large, airy rooms with stone floors and original brickwork. They even did some fancy paintwork to maintain that older style of building. With many “ghost signs” in the area depicting age and change, this clash of new and old really works. Juxtaposition at its best. Since its opening in July 2015, it’s gone from strength to strength to sit proudly as a well-established venue, for weddings, engagement parties, food, and what we all like best – beer. Fun fact: the date for Small Business Saturday 2016 will be confirmed in March. Register your small business here completely free of charge. Watch this space! 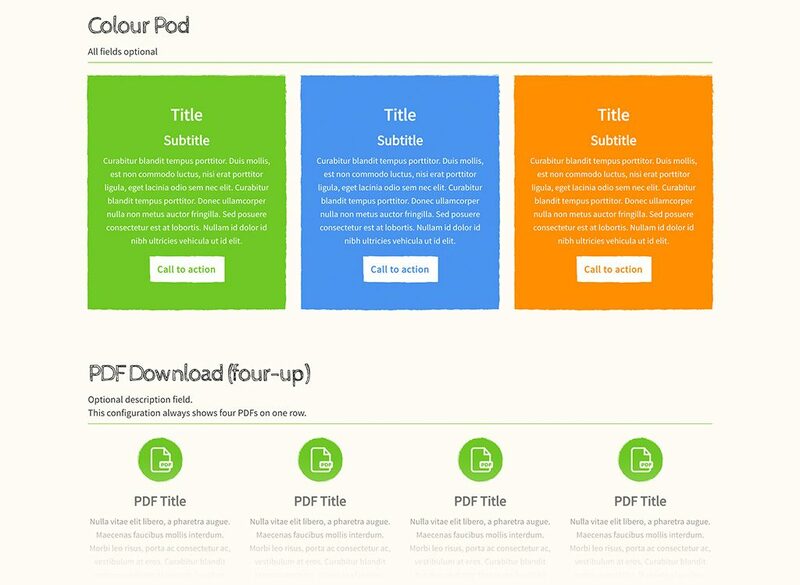 Here we have every design lover’s home from home. 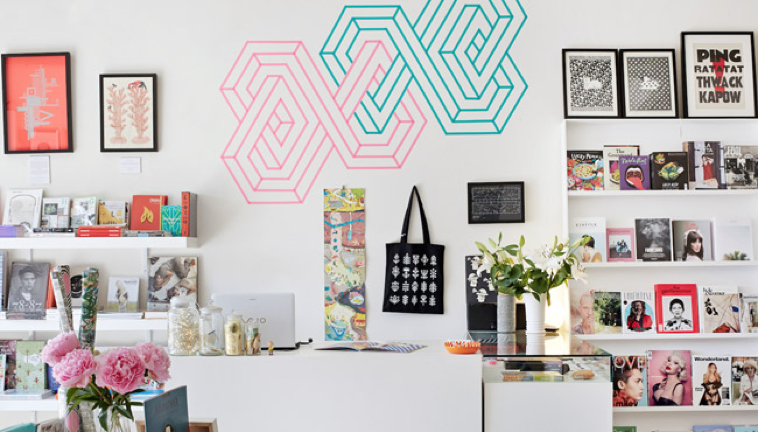 Stacked on the shelves are hoards of super cool stationery, quirky magazines, and contemporary artwork from a multitude of mediums – a whitewashed room full of wonderful wares. We’ve been lucky enough to have Colours May Vary on our doorstep since 2012, but this Christmas, Leeds Train Station became that little bit more arty, as in amongst the Subway, McDonalds, and Sainsbury’s, a little shop popped up and showered some pretty design over each commuter that passed by. Unfortunately, the start of 2016 said goodbye to the temporary CMV pop-up, but we are hoping to see it back sometime soon! Their permanent location is a little outside the city centre, but with the East side of the city being home to some big names (Yorkshire Playhouse, Northern Ballet, Leeds College of Music ring a bell?) we hope that the 10-minute trek won’t stop you taking a peek inside! Fun fact: 20% of all Google searches are for local information. 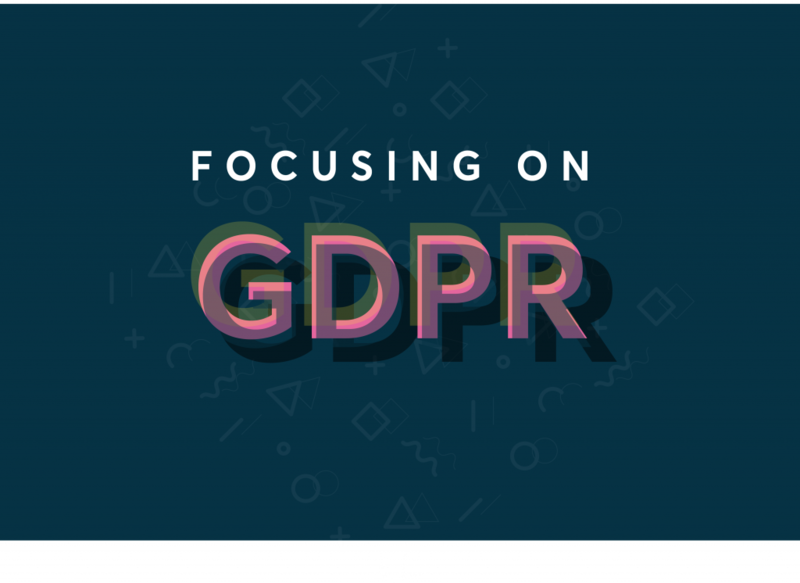 Imagine how much traffic you could drive to your site if you utilised key aspects of SEO like targeting keywords and social media! 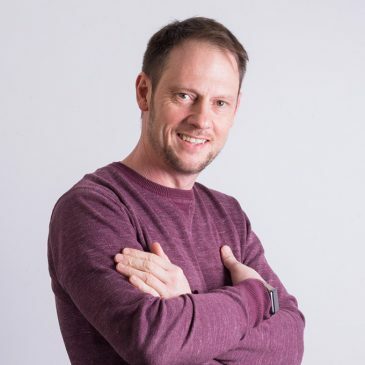 There’s so much potential online for small businesses to grow – phone up for a chat if you’d like to know what we can do to help! 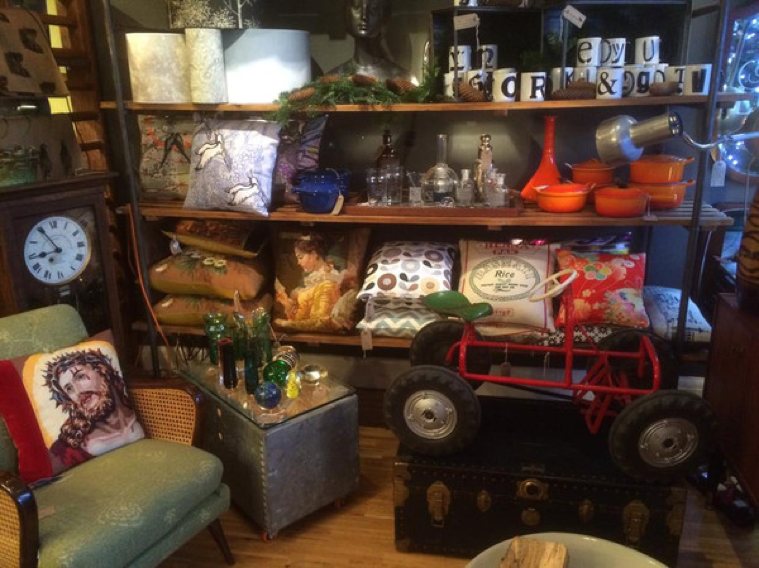 Tucked away between Moortown and Chapel Allerton in North Leeds is a cosy interiors boutique – safekeeping homely treasures, vintage accessories, and other shiny objects, as Blackbirds do. Blackbird Vintage has been described by Independent Leeds as a fusion between Portobello Road and Spitalfields, a pretty good feat for an almost two-year-old store, considering both are world-famous for their longstanding vintage market wares. From Edwardian bureaus to vintage Riviera water skis, this boutique can delight, inspire, and even help redecorate your home (literally, they have a bespoke service, as well as interior restyling – they also do upholstery on the side). Blackbird gives a sense of adventure in the everyday. Your armchair doesn’t have to be from Ikea, it could be a mid-century reclining Chesterfield. You could go all out with an Edwardian Church Pew. The world really is your oyster. Fun fact: 82% of local businesses say they get the majority of their custom from referrals. This is why networking with your local community is so vital – attend those meetings, find monthly catch-ups! An easy but very successful alternative is via social media. Retweet your independent neighbours. 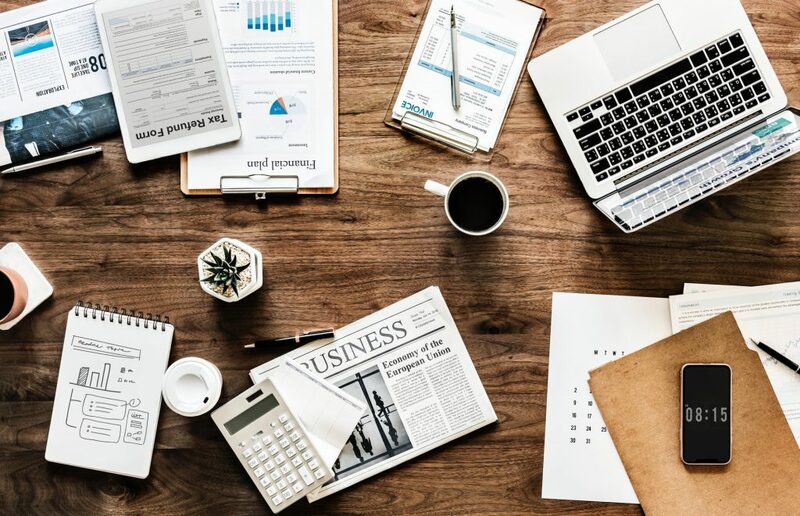 Create a community hub online and share facts, tips, and tricks to ensure that not only yourself, but your community maintains and grows its independent business. It’s a win-win for everyone.